Since the Tigers lost in the 13th inning, I'll dwell on my last day in Chicago. I LOVE this city. It has the best of everything. On Saturday, We scarfed-down breakfast at one of Obama's favourite hangouts - Manny's Cafeteria & Deli on Jefferson. Good stuff! We stayed at the Hilton Chicago and right around the corner was Buddy Guy's joint. The Cubs are on a roll. The Cubbies beat the D-backs 4-1 on Saturday. Chicago hurler Ryan Dempster pitched 6 innings, allowed 4 hits, 3 walks and struck out 5 Arizona batters. Dempster tied the team record after pitching his 33rd scoreless inning! He's, now, tied with Ken Holtzman who went 33 scoreless innings in 1969. But the talk in the Windy City is that Dempster might be leaving town. The Cubs are 7-3 over their last 10 games but they sit in 5th-place in the NL Central - 14 games behind 1st-place Cincinnati. The Cubs aren't exactly sitting on a playoff spot and Dempster is in the last season of a 4-year contract. As a result, he has become a possible trade option for contending teams. He leads the majors with a 1.86 ERA. 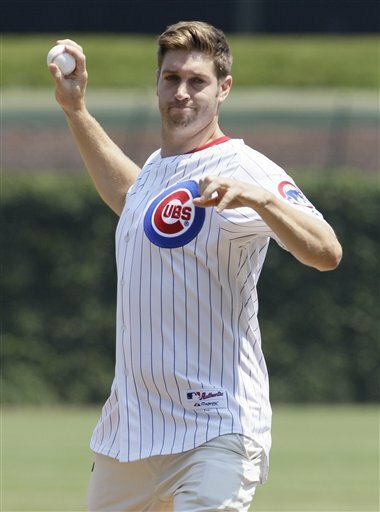 Chicago Bears quarterback Jay Cutler is a horrible singer. He did the 7th inning "Take Me Out to the Ballgame" chores and tossed out the ceremonial first pitch. In my hotel room, in the bedside table drawer, was a hardcover book - Where Chicago Guestbook. Inside was an excerpt from Bill Chastain's new book "Hack's 191: Hack Wilson and His Incredible 1930 Season." 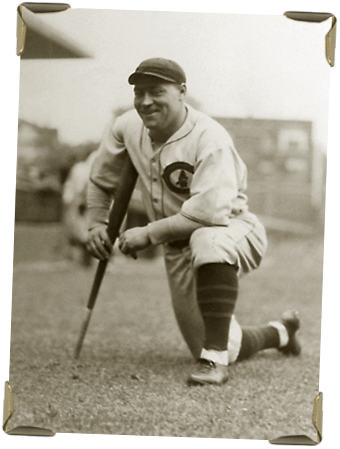 Hack Wilson was the Cubs version of Babe Ruth. A hard hitting, hard drinking HOFer. What blew me away was the size of the guy: 5' 6", 195 lbs., size 6 shoes, 18-inch shirt collar. In other words - short, but built like a brick house! His hands were so small he couldn't hold a regular bat, so the bat-handle was narrowed-down to quarter-sized in diameter. Yet he still wielded a 40-ounce, big barrelled bat he called "Big Bertha. 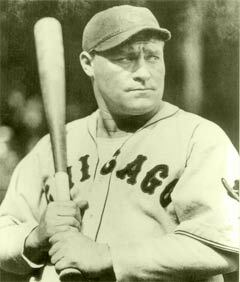 In the 1930 season, Wilson hit 56 homers, 191 RBIs with a .356 batting average.